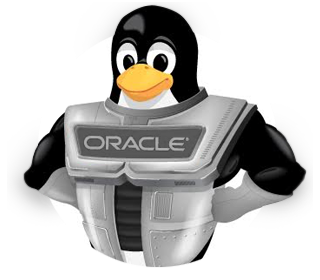 ▶ I cannot find a specific older version of a package in the Latest channel for Oracle Linux. Where can I find it? The Latest channel for each Oracle Linux release contains only the set of packages from the most recent release as distributed on the installation media for that release (available on Oracle Software Delivery Cloud) together with all updated packages (errata) following that release. All packages that do not match these criteria are moved to the Archive channel. As such, when a new minor release of Oracle Linux becomes available, the Latest channel is brought up to date with the set of packages that ship on its installation media. Log in to http://linux.oracle.com with your ULN user name and password. ▶ What are the steps to update ULN-CA-CERT? Oracle is replacing Symantec-branded certificates with Digicert-branded certificates across all of its infrastructure to prevent trust warnings from Chrome and Firefox. Due to the nature of how Oracle Linux systems connect to Unbreakable Linux Network (ULN), this change requires that client certificates on all Oracle Linux systems receiving updates from ULN be updated. The change in server certificates on ULN will occur on October 9, 2018. After that time, Oracle Linux systems will only be able to connect to ULN with an updated client certificate. Please make sure to have following or later version of the packages installed on all the systems that are registered directly to ULN before October 9, 2018.
have the correct certificate and your system time is correct. A common cause of this error is the system time being incorrect. Verify that the time on this system is correct. ▶ How do I obtain a login for Unbreakable Linux Network (ULN)? A valid Oracle Linux support or Oracle VM support CSI (customer support identifier). You may purchase Oracle Linux or Oracle VM support online via the Oracle Linux Store or via your sales representative. ▶ How do I register a machine with Unbreakable Linux Network (ULN)? Ensure you have a valid CSI by purchasing Oracle Linux support online via the Oracle Linux Store. ▶ How do I become a CSI Administrator? See this section of the ULN documenation:Becoming a CSI Administrator. ▶ How do I transfer servers registered to one user to another user? See this section of the ULN documentation: Listing Active CSIs and Transferring Their Registered Servers. ▶ How do I transfer servers registered to one CSI to another CSI?? See this section of the ULN documentation: Listing Expired CSIs and Transferring Their Registered Servers. ▶ I'm having trouble with my Single Sign On (SSO) account. What do I do? ▶ How do I know whether my machine is registered? ▶ I only see one channel after I have registered my system, how can I subscribe to additional channels? When you register a server, it will be subscribed to a channel that has the latest Oracle Linux packages for the appropriate architecture. To subscribe to additional channels, log in to linux.oracle.com after you register your system. Click on the Systems tab to manage subscriptions for each subscribed server. ▶ When I attempt to update my system, I get unresolved package errors, what can I do about this? ▶ How do I configure yum to use a proxy server? At the time of registering the system to ULN using uln_register, press the Advanced Network Configuration button after prviding the account information on Account Information screen. In the next window, use the appropriate fields for your HTTP proxy; if your proxy requires authentication, enter the username and password here. When finished, press the Close button to continue the registration process. ▶ How can I get help? ▶ How do I update a specific package? ▶ I have Oracle Linux 4 under Lifetime Support, how do install packages and updates?